Pressure cook the toor dal for 3 whistles . Once the pressure subsides , remove the lid and mash the dal well . In a pan dry roast the sesame seeds till they pop and transfer it to a blender. Add a little water to and blend it a form a paste. Heat oil in a sauce pan add ginger garlic paste and green chillies. Saute them well then add the mashed dal to it. Also add the sesame paste and boil the dal well till they come together. Boil the pork belly until 40% cooked. 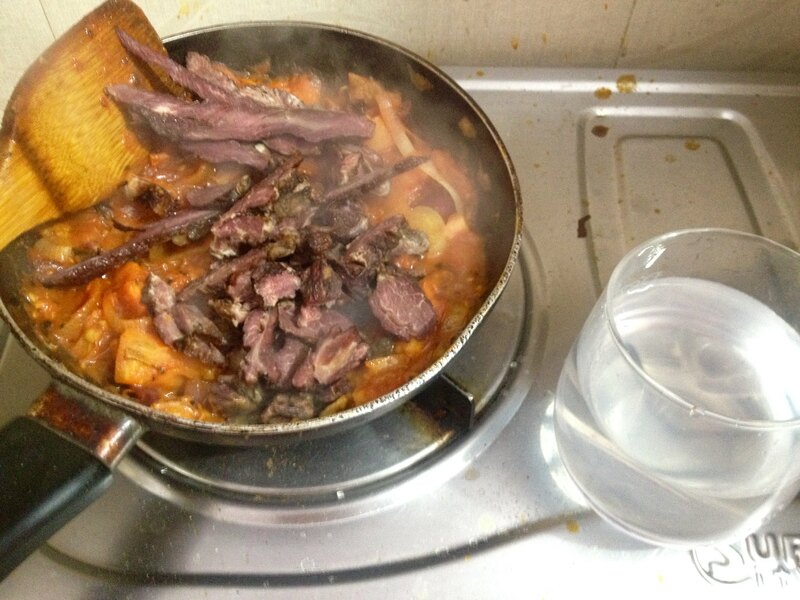 Reserve the cooking liquid and cut the pork into cubes around 1.5 cm (1/2 inch) on each side. In a frying pan, melt the fat from the pork belly and add the bay leaves, onion, ginger and garlic. Sauté briefly, then add the rest of the meat and cook until browned. Add the black sesame paste and turmeric, adjust the salt and stir well. Add some of the reserved cooking liquid and leave to cook over low heat for around 45 minutes, until the meat is soft and tender. 1 pound pork belly and offals cut into 1/2- 1 inch pieces. 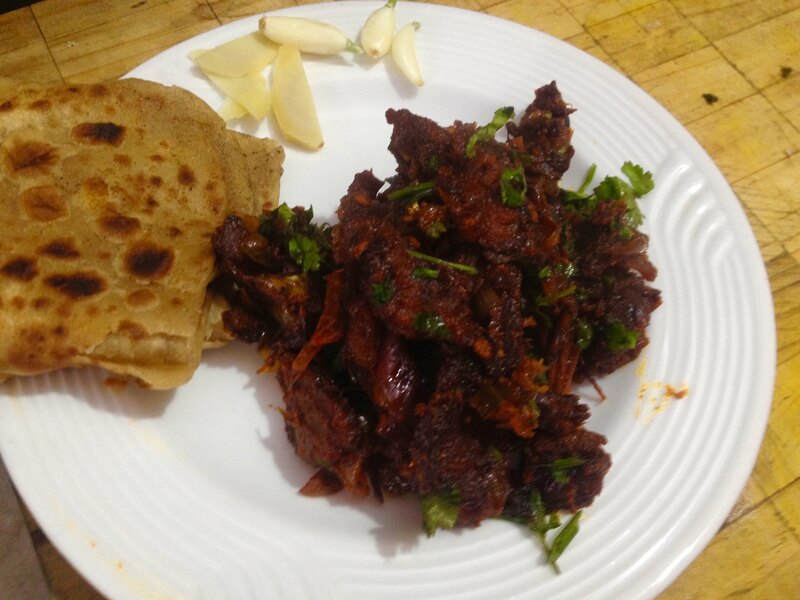 The cut of meat is really important for this dish and should not be compromised on. Hold the skin against the flame to give a smoky flavor to the meat before you cut into 1 cm cubes. 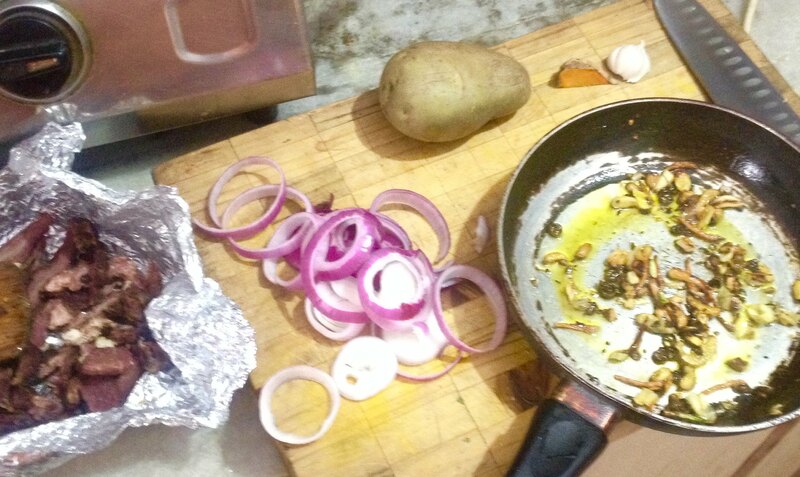 Burn the tip of the bay leaf and add to the onions to enhance the flavour of the bay leaf. Add ginger garlic paste and the ground sesame seeds to the onions . Fry for a minute. Add the pork pieces and season with salt. Saute for about 15 mins in medium heat allowing the meat to cook in its own juice. Add 11/2 cup water and simmer till cooked. Boil the minced beef with water (just above the level of the meat), until almost completely dry. Let it cool. Heat the oil. 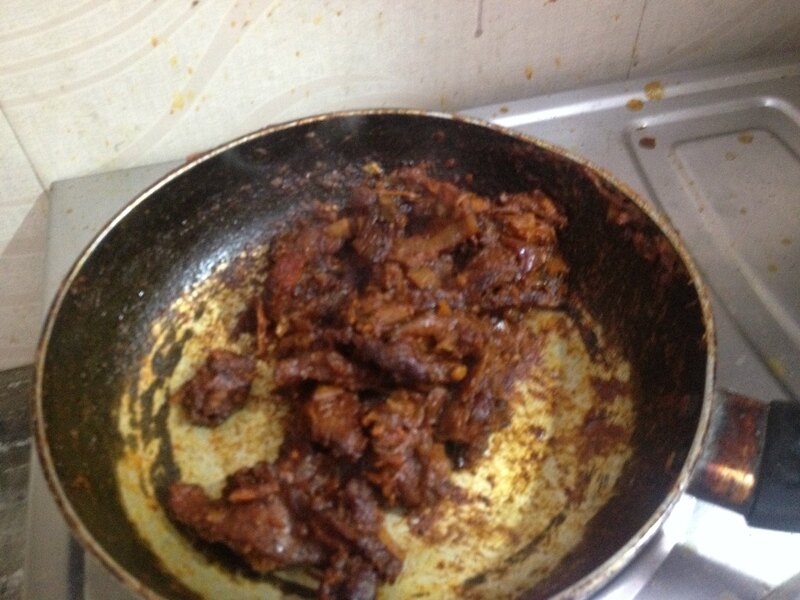 Grind ginger to a paste and mix well with the meat. Add ground chilli, cloves and salt. Roll the mixture into balls the size of golf balls. Deep-fry until dark golden brown. I'm gonna make #41 this weekend. Thanks. Jadoh will go well with Dohjem, Dohneiiong, Dohkhleh and a plate of Vegetable Salad (Lettuce, Tomato, Onions, Cilantro and salt for seasoning, no dressing). Remember not to drain the water cooking the rice. It will be a little sticky but the fat from the pork will amalgamate well with the rice and give you a good taste. Will try to post more recipes in the future. How did the Jadoh go? *Traditional* Smoked Beef, my way. 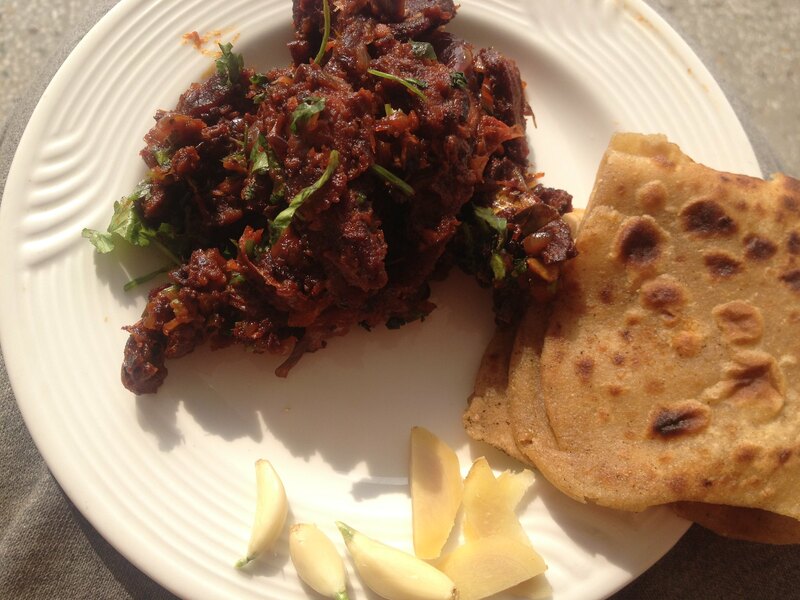 Getting out of the warm razai with outside temperatures of 10*C to make some Doh Syang for #SaturdayBrunch. Thanks, Sir, for the motivation! I tried searching but could not find any recipe. Will just go my way. Sorry for not replying as your query slipped slipped through the cracks. Actually pretty good. Rather simple dish ! Glad you liked the dish. Yes it's simple and easy on the palate and stomach. From cutting chopping to the plate, this thing takes 30 minutes. The photos. The EDIT link/button has, naturally, disappeared. Sorry for being so sloppy. The thing in the glass is Desi Thharra, Shahi Saunfi. Need to go. Will fix the size, later. I like it. NO like button today . So I had to say it. Is the button missing for anybody else.